10 Below is Barry's largest event space. The space consists of two rooms; The Outback and The Ice Bar. These rooms can be rented together or separately, as there are large sliding barn doors that separate the rooms. The full event venue with a capacity of 350 guests, standing between the Outback and Ice Bar. 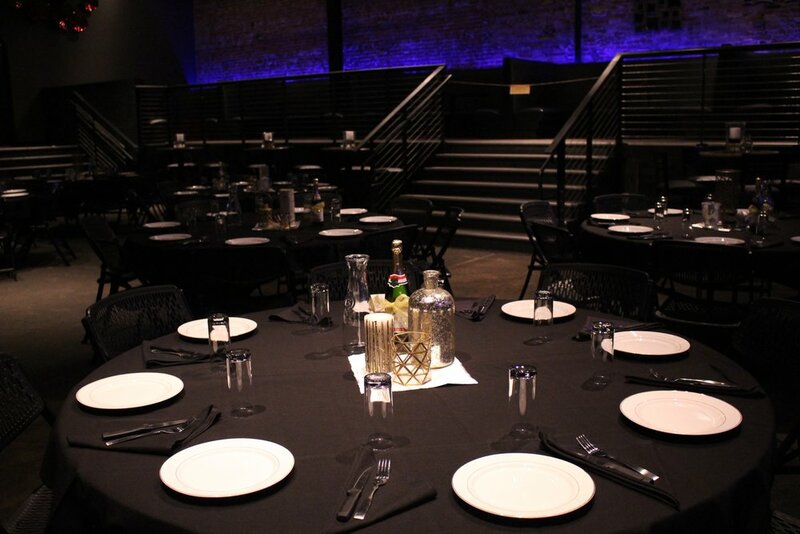 10 Below is perfect for formal dances, medium sized wedding receptions, rehearsal dinners, company parties, graduation receptions, fundraisers and any event that requires a lot of space. 10 Below features a separate entrance from Barry's on the north side of the building. The space can be configured many ways with our 10 folding tables, 8 granite cocktail tables, two beer pong tables, LED dance floor, DJ booth, corn hole games and so much more! Rough it down with kegs, corn hole and a beer pong tournament or glam it up with balloons, decorations, buffets and centerpieces. See a video of the space here. The Outback is the larger room in 10 Below which features five VIP booths, a DJ booth, stage, two projection screens, a microphone, tall ceilings and an optional brand new LED dance floor (as of December 2016). This fall we also added a high end light and sound system, equipped with four fog machines. There is a full bar that spans the west side of the room which can fit up to 4 bartenders. For your convenience there is an ATM and men's and women's bathrooms with 5 stalls each. The Outback is great for catered dinners of 50-60 guests. We offer table cloths and napkins, decorations, tables and chairs. 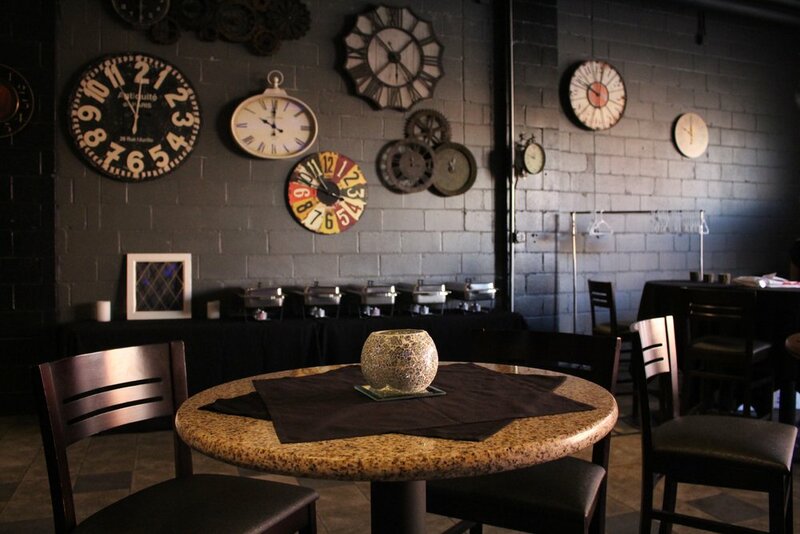 We have both round folding tables and granite cocktail tables. The Ice Bar is our classiest venue featuring an actual ice topped bar. The Ice Bar has two TVS, two leather L-shaped couches, granite cocktail tables, a private entrance off Q street, tall ceilings, a quirky clock wall and an exclusive, yet cozy atmosphere. There are two single-stall handicap accessible restrooms inside this space. A unique component of this room is the large ceiling-high garage door that opens up to the street. It's perfect for summer when you want the patio feel of the rooftop, but need a space with a private bar. The Ice Bar is perfect for hosting private tailgate parties, company happy hours, birthday parties, intimate dinners and events with 40-90 guests.